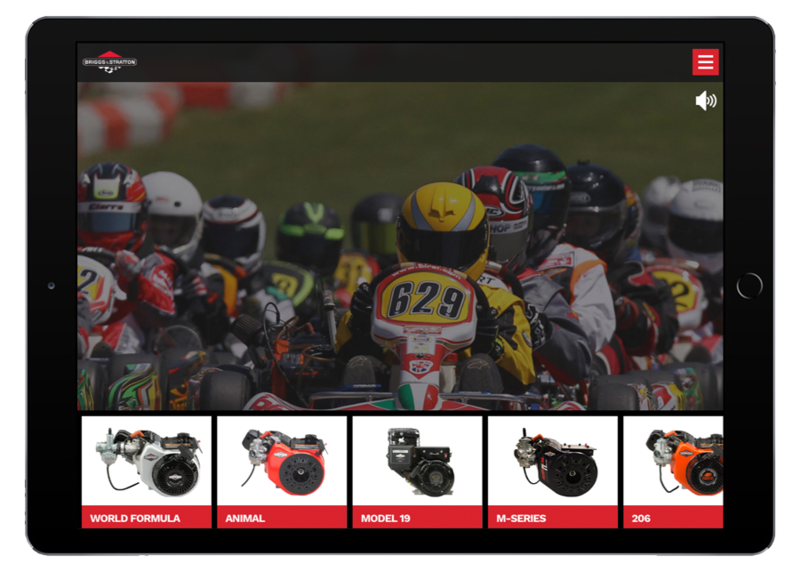 Briggs Racing, a division of Briggs & Stratton, has been building top-of-the-line engines for the karting and snowmobiling industries since 1991. 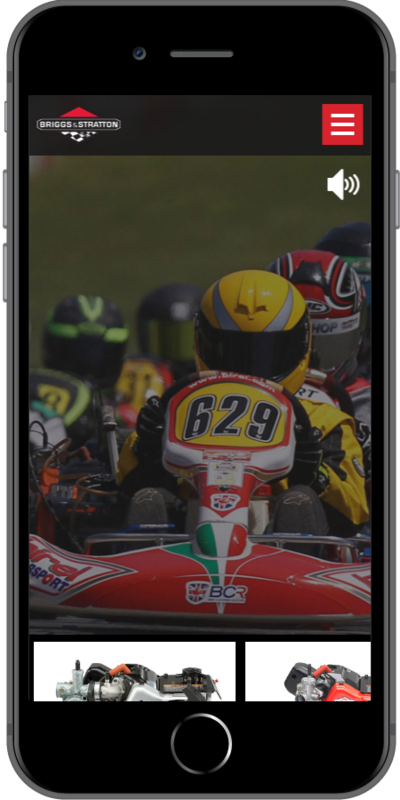 Starkmedia was engaged by our long-time partner to create a website that would match their brand’s image, which is built on the principles of performance, durability, and quality. 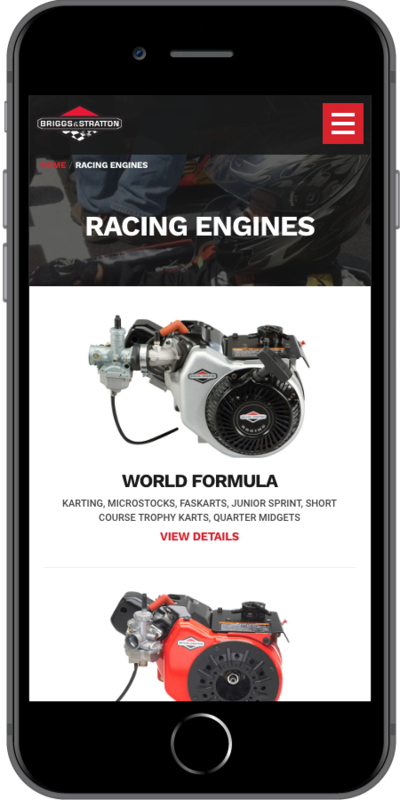 They needed a site that would provide product and support information for their complete engine line-up and appeal to their loyal fan community. 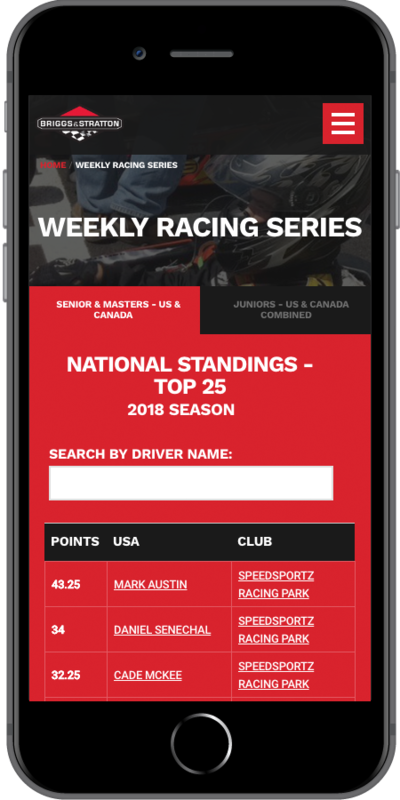 Starkmedia designed and developed a responsive website on the Drupal CMS platform that gives the Briggs Racing staff straightforward management capabilities and prioritizes mobile users. 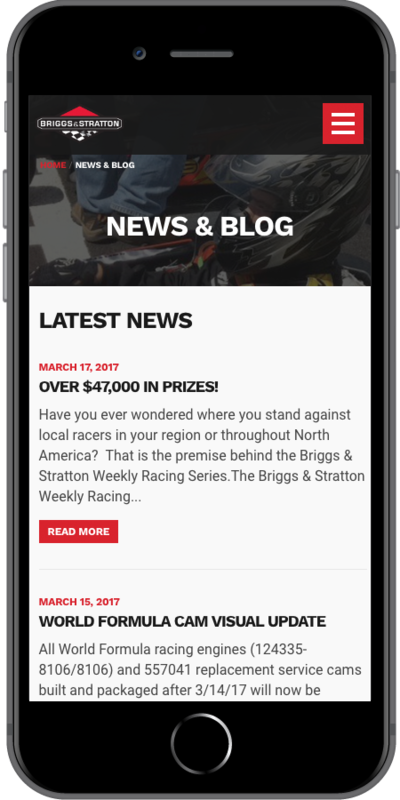 The new site also features components that highlight Briggs Racing’s strong ties to the racing community, including extensive product and how-to video integration and the Weekly Racing Series.